alaTest has collected and analyzed 68 reviews of Lenovo Tab 4 8 Plus. The average rating for this product is 4.5/5, compared to an average rating of 4.3/5 for other products in the same category for all reviews. Views about the battery and usability are generally positive. The price and screen also get good opinions. Some have doubts about the camera and connectivity. 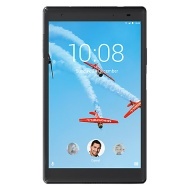 "This tablet is really quick and easy to use, a great replacement for my ageing Nexus 7. Really happy with it. Works with Quick Charge 3 as well for faster charging."